The premier of Ontario continues to make new announcements of jobs, and promotes fear mongering that his political opponents would kill those jobs if elected. The reality is no matter who wins Ontario's Oct. 6 general election, those jobs won't be there to kill, because in most cases they aren't real. Supporters of wind energy subsidies have historically done a fantastic job of tying the merits of wind energy to the contemporary problems of the day. During the latest worldwide economic crisis, wind energy proponents have heavily touted the number of jobs created by wind energy production as a reason to push these projects forward. 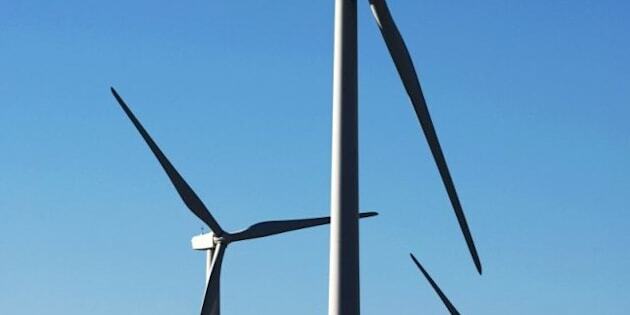 At a time of punishingly high unemployment in North America and Europe that is further compounding the impact increased global competition is having on traditional manufacturing sectors, wind energy backers are heavily trading on the claim that 'green collar' manufacturing is the future. In 2009, Ontario Premier Dalton McGuinty decided to take Ontario boldly where no North American government had gone before. He introduced a wide ranging piece of legislation called the 'Green Energy and Green Economy Act' and promised at the first press conference to create 50,000 jobs in three years. While no independent verification for these job figures have been offered, the premier of Ontario continues making new announcements of jobs, and promotes fear mongering that his political opponents would kill those jobs if elected. The reality is no matter who wins Ontario's Oct. 6 general election, those jobs won't be there to kill, because in most cases they aren't real. In December 2010, the Government of Ontario issued a press release titled "New Wind Tower Plant Creates 700 Jobs in Windsor." Yet when McGuinty went to tour the facility in September 2011, CS Wind reports just 50 people are employed at the plant. Fort Erie is home to Ontario's first wind turbine tower plant owned by DMI Industries. The day before McGuinty's visit to Windsor, word broke that DMI Industries was laying off "in excess of 50 workers." Local MPP Kim Craitor has said DMI Industries had sought his help in getting assistance through a federal work-sharing program "until orders pick up again." With insufficient demand to maintain employment at one wind turbine tower manufacturing plant, it is hard to imagine how Windsor's fate will be any better or why their order book as a start-up would be more robust than an established international producer. A lack of demand for products made by 'green collar' workers created another embarrassing situation for Dalton McGuinty, who was accused last week of staging a campaign photo opportunity at a solar panel manufacturer Eclipsall Energy that has idled its plant due to a shortage of orders as well, confirmed by plant management. In Tillsonburg where a wind turbine blade manufacturing plant was credited with creating 900 jobs in a December 2010 government press release, nearly 20 months later, the plant owners report a staff closer to 30 employees. During an election where spiking energy bills, smart meters, and the government's handling of opposition to industrial wind turbine development are all playing major roles, two things are becoming clear. Maybe it is a good thing McGuinty's green energy jobs plan is in shambles. It means plans to give Ontario families and businesses a break by ending the feed-in-tariff program and controversial Samsung deal can help real, private sector employers stay cost competitive through reasonable electricity prices. Cancelling these deals won't result in thousands of layoffs because they haven't resulted in anywhere near the employment the government claims. Jan Carr, the former President of the Ontario Power Authority completed a study of the economic impacts of Ontario's Green Energy Act and found that each so-called 'green job' would result in a taxpayer subsidy of $179,000 per job, per year. Employees at Eclipsall Energy, who recalled their workforce for McGuinty's photo op, are paid a poverty rate just 20 per cent higher than minimum wage. That subsidy is seven times their pre-tax take home pay. To provide those subsidies, all Ontarians will need to pay an additional $310 per year in electricity costs by 2015 according to Carr. Spain's expensive green energy failure can serve as a lesson to Ontario. A recent study shows for every 'green job' created 2.2 real jobs were lost elsewhere in the economy due to the impacts on electricity pricing. During this election, Ontario voters will need decide whether to consider our energy policy as an economic policy. Voters have the opportunity to determine whether our government puts more economic stress on the automotive, natural resources and manufacturing sectors which employ hundreds of thousands of Ontarians to chase a green dream that has so far proven fruitless.